We work with teams to enhance their productivity and their creativity through proven work strategies. ViaDel Consulting Group offers affordable services that help you achieve your strategic priorities in a world/economy that forces nonprofits, small businesses, and corporations to operate with limited resources. ViaDel seeks to offer top-quality expertise in a limited engagement to improve the processes and mechanisms that make your business work. A passion for strategic and institutional planning drives ViaDel’s services and programs. From your organization’s core mission to day-to-day operations, every decision you make can make is vital to your future success. I use a variety of strategic planning techniques with a focus on the resources of the Standards for Excellence Institute, as well as the work of Jim Collins and his Good to Great strategies. ViaDel also employs a SWOT-based (Strengths, Weaknesses, Opportunities, Threats) analysis that empowers various stakeholders to give firsthand input, through a series of unique, interactive sessions, that informs a new and powerful strategic vision for your organization. 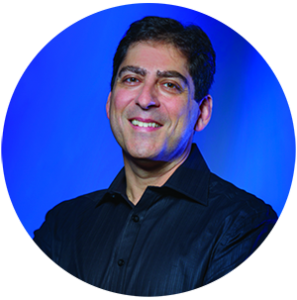 Using proven team building strategies, I bring groups together to approach problems in new, creative ways. 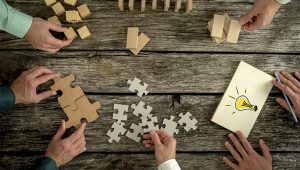 When you have a team that works well, or even one that needs work, organizational changes and challenges can alter the dynamics and relationships. Also, in today’s upwardly mobile world turnover for many positions, especially in nonprofits, is a major issue. Training costs and the cost of constant team building and reorientation can become costly without ever becoming a line-item in the budget. ViaDel can work with your organization to provide expertise in a limited engagement that will hone the skills and talents of your team, invigorate or revise foundational documents and policies and procedures so they empower your team and volunteers to do their work efficiently and effectively, and create strategies that drive the organization towards success. Your mind thinks differently when it plays. Why not harness that power? 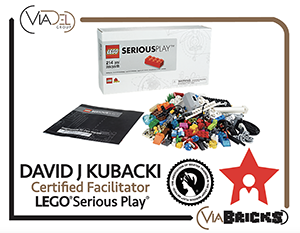 ViaBrick employs LEGO® SERIOUS PLAY®, a facilitated thinking, communication, and problem-solving technique for groups. Unlock your potential and the potential of your colleagues, team, or entire organization through LEGO Serious Play. I discovered the Clifton StrengthsFinder through a work colleague and immediately understood its potential for individual discovery (personally or professionally) and for team building within the workplace. GALLUP Strengths Coaching can unlock your potential and the potential of your colleagues, team, or entire organization. ViaDel Consulting Group offers comprehensive Strengths support from individual coaching to enterprise solutions to enhance the culture of your organization. Contact us to discover your Strengths and Unlock Your Potential! Copyright (c) 2000. 2017 Gallup Inc. All rights reserved. ViaDel employs Standards for Excellence, LEGO Serious Play, Myers Briggs Type Indicator, and other proven techniques.